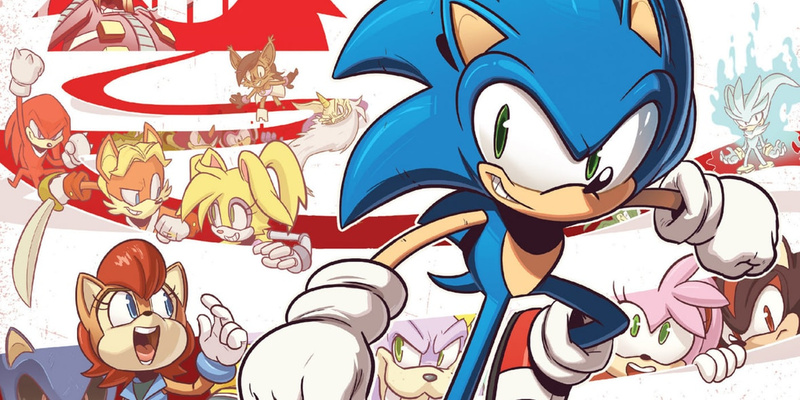 Sonic turns 25 this year and Nintendo is marking the occasion with a sale on selected Sonic the Hedgehog titles, no doubt inspired by the Black Friday madness which is currently gripping the planet. This sale runs through to 8:59AM PT on November 29th, 2016. Will you be grabbing any of these? Let us know with a comment. Thanks to Oto for the tip! Uh oh, Sligo Boyo is gonna have a freak out when he sees this. @Menchi187 I'm used to it by now. Still doesn't make it any less annoying though. With the Wii U having no VC games we're probably not missing much. They had a Sonic Humble Bundle with most of the games included for $15 dollars. LOL. Nintendo gamers are given the stick yet again. LOL. When is Nintendo going to mark Sonic's birthday by developing a game and saving him from his inept creators? @SLIGEACH_EIRE Well, the Wii U IS pretty much finished as a system. And I'm pretty sure SEGA ditched Virtual Console on 3DS, so we won't even see Sonic Chaos, Sonic Spinball, OR the Imports: Sonic Drift 1 or Tails' Sky Patrol. 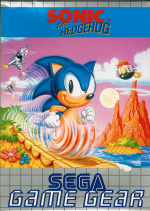 HOW ABOUT CONVINCING SEGA TO RELEASE A SEGA MASTER SYSTEM/GAME GEAR COLLECTION ON STEAM, HUH, GUYS? I'm probably better off buying a Sega Game Gear, and all the Sonic Games for it. I'd have to get a Battery Pack or the AC Adapter for the Genesis 2, for it, though. Good thing the Game Gear is ALSO region-free! hopefully the UK gets same deals! Ive never really sat down and given any sonic game a proper chance. I have both Wii U and 3DS - what do you guys recommend as a starting point? @Baker1000 "When is Nintendo going to mark Sonic's birthday by developing a game and saving him from his inept creators?" Which type of Sonic game would you like - an amiibo focused board game like AC:aF where you only tap the the amiibo to the Gamepad and do nothing else but watch; an online multiplayer like Metorid Prime: Federation Force where all of Sonic's friends play soccer but Sonic isn't actually playable in the game, he just watches from the sidelines; or a mobile runner like Super Mario Run on iOS. Oh wait, Sonic already has 2 of those. Oh wait, I know, an open world Sonic like Zelda that was supposed to be released exclusively on Wii U in 2015 but isn't coming out until 2017, also on Switch. Sonic games have gone downhill, but Nitneod has harldy been s shining example of great game making of late. Maybe Sonictomo? Ask Sonic questions and is friends will answer them. @Baker1000 What saving is even needed? He's doing fine. Besides, the fans would hate that due to Nintendo's copyright policies. @YoshiAngemon There's no point. Sonic Adventure DX is already on Steam and contains every gamegear game as an unlockable for every 20 emblems you collect. @luchacomics Well, Generations on 3DS and Lost World on Wii U are your only options when it comes to the main series in the modern gen. However, due to the backwards compatibility you can also pick up Sonic Rush and SRAdventure as those are DS games while the Wii has Unleashed and Colors. Personally, I recommend starting with Unleashed or SRAdventure. Unleashed, or "Sonic: The World Adventure" as it's known in Japan, has a fantastic story about Duality, culture and acceptance of one's self. Needless to say, the day levels are blissfully fast and stylish but the night levels are fun but only for one time. Sonic Rush Adventure is another good one. Sonic crash lands on a island with no way to get home so he and Tails entrust local Marine the Raccoon to help, despite the Australian raccoon being too young and clumsy for her own good. The plot then thickens when they meet an old friend Blaze the Cat. Again the gameplay is fast but this time it's all about speedrunning and showing off in style due to the trick system. @luchacomics: Personally, I would start with Sonic Generations, to get a chance to play both play styles of Sonic (Classic and Modern), to determine which play style you prefer. Then if you like Generations enough to keep wanting to play Sonic games, you can buy Sonic games that use your preferred play style. 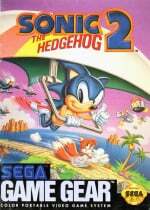 If you end up preferring Classic Sonic, then I would say try the Classics! Sonic the Hedgehog, Sonic the Hedgehog 2, etc. are all really fun and great games! If you end up preferring Modern Sonic, then I recommend the Wii U version of Sonic Lost World from the list. Neither version of Lost World play exactly like Modern Sonic in Generations, though (no boost gauge). If you really want to play another Sonic game like Modern Sonic in Generations, I recommend Sonic Unleashed. It's actually my favorite video game! And regardless of which Sonic play style you prefer, Sonic Transformed is also really fun! I wonder if this will come to the Great White North. This would've been the perfect time to bring Sonic Advance on VC to North America. I'm disappointed. 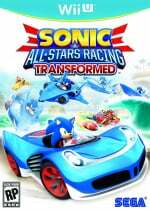 Sonic Racing! Anyone who hasn't played those games needs to! @james_squared the Nintendo of Canada page says we are getting this sale but probably not the same prices. @Blue_Blur @luchacomics I actually really like Sonic Boom on 3DS, although the levels are a bit on the long side. The cartoon tie-in is pretty funny too. Definitely try the demo! Personally, I never liked the original games, and still don't...they just seem very haphazard. I always give them a try periodically, though. It was actually the Sonic Advance games for GBA that first got me hooked...unfortunately, those aren't available! Guys, I... I think I might pick up Sonic Boom: Rise of Lyric while it's on sale. If I don't survive, it's been a pleasure knowing you all at Nintendo Life. @kupo sonic advance was some of my favorite sonic memories. Okay, so Nintendo celebrates Sonic's 25th, but totally ignores Metroid's 30th. @Kalmaro The Sonic Advance games were amazing, totally underrated compared to the originals. Sonic Drift 2 was the only I've grabbed. I have all the rest already. @Pokefanmum82 I haven't seen that notice, but sounds good. Nintendo of America is probably patting themselves hard on the back right now thinking that is all they need to do for this week. I hope that they hire a competent person to manage the Virtual Console for Switch. The fact there are 464 Virtual Console games in Japan versus the 256 here in the US is just sad. Where is Sonic Advance 1, 2 & 3, Shining Soul 1 & 2, Chu Chu Rocket from Sega? Where is the 15+ Square games that are available in Japan? Your comment is pure gold, man! I'd wish for something like this for Europe as well, would gladly pick up Generations for 12 bucks! @SamirMalik Sonic Colors is on DS too, it's basically Sonic Rush 3 without Blaze and the funky music. It's a good recommendation but for the 3D side I would not start with Unleashed, it's quite different from the other games, especially the Wii version. Naturally I would start with Sonic Adventure! Also, Sonic Adventure has aged. It's no longer what Sonic is about. Whereas Sonic Unleashed, even the Wii version, encapsulates who Sonic is in the current gaming landscape. The Boost Formula as it's known as is what defines Sonic these days. Wii U owners that haven't picked up Racing Transformed yet definitely should. It's a fantastic game, and it might even have the bonus of getting you interested in other series (similarly to Smash Bros.). STEAR CLEAR of the 3DS version, though. It's easily the worst version. If you don't have a Wii U, pick the game up off of Steam or something later. Apart from that, I really liked Lost World (Wii U), but a lot of people disagree with me on it, so I'd recommend trying the demo first. Sonic Generations 3DS is worth a look for its sale price. It's kind of short, and not nearly as good as the PS3/Xbox360/Steam versions, but if you are a speed runner or completionest, you'll easily be entertained for a little while. I'd say there's a decent amount of content for its current price. These are more tempting sales than the official Nintendo eShop discounts (I really like Sonic in spite of my better judgement ok), but too bad Pokémon Moon just came out so no buying games for me until I beat that! @Darknyht Oh man, Shining Soul 2. I think the fact that you're only the second person I've ever known to mention it anywhere might be part of the problem (and it IS a problem because it's a sweet game)! @Not_Soos You had a good run. We'll see you on the other side. Nice! 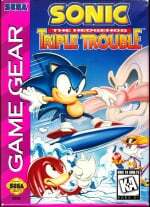 Maybe I'll get me a few of the Game Gear games. 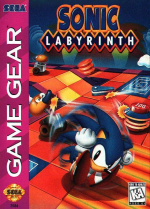 I don't care what anyone says I liked "Sonic Labyrinth." It was kinda interesting having a game where you rely on the spindash. Interesting using an Archie Sonic cover for the article. Well, i will to buy the Wii U games and the Gamegear games. This way maybe Sega will bring back they VC to Switch. That remember me i need to buy a lot of Mastery System and Genesis games in my Wii but with the dolar more expensive i don´t like that. Couldn't resist buying 3D sonic 1 & 2 for $6 total. they look good too! @umegames I already have 'em both, but they do look great in 3D. I also like the extra custom options like CTR TV screen mode, and using the spindash in Sonic 1 is nicer. @DarkEdi I wish they had more Game Gear & old-school Sega games. I was hoping they'd give us the GG version of "Ristar," or something. @SamirMalik Sadly, only the GameCube/PC Versions of old contain the Game Gear titles. The PS3, XBox 360 and Steam Versions remove the Game Gear Games, for legal reasons: mainly so it wouldn't interfere with the sales of the VIrtual Console games. 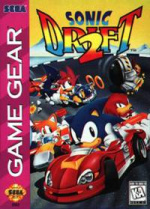 I really need to buy Sonic 2, and the other Game Gear games I don't have. @SamirMalik I don't think not being as fast as the Rush games makes it a bad game, all the Sonic tropes are there, it's a short but sweet experience. I don't believe boosting is what defines Sonic now, see Sonic Lost World and shudders ROL. Most of the Colors stages were 2D based and didn't require boosting at all. The Sonic series is still open to doing anything with gameplay. If you think Unleashed is the better recommendation that's fine by me, personally I like the game just not to the point I would recommend to first starters. I guess I don't believe in the whole "aged" concept, I only just played Ocarina of Time in 2011 and it didn't feel like I was playing a dated game at all, I still think Alttp is on a whole different level but that's getting off topic! @iGen Does the Metroid event in Miitomo count if they literally said that's what it was for? Dam, Gens 3DS is less than 20 dollars? Should've gotten an eShop gift card instead of a Steam one. @SamirMalik you really think the latest Sonic games on consoles have been fine? 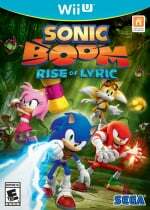 Sonic Boom: Rise of Lyric? 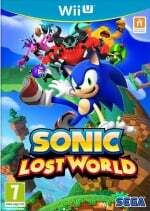 Sonic Lost World? You think Sonic 4 was acceptable? All I want is Nintendo to show that Sonic can be in a game which isn't broken or over complicated with gimmicks. @rjejr No, I want him to be in a platformer, which Nintendo actually have an very good track record of. Something like 3D World, where it's basically classic Sonic in a 3D environment. 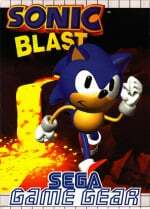 The type of games Sega has tried to put him in but had very little success at since the early 2000s. I'd take Sonic Adventure 3, but they'll probably fail to understand what made the first two great and ruin it, like they did when they tried to put him in Sonic 4. I hope to god they don't ruin Sonic Mania because I've been hoping for them to release a game with the Mega Drive engine for years. Sega just don't make great games anymore, it's as simple as that. Even the Olympic titles are broken, and I'd love to see what Nintendo actually did with those titles because they actually know how to make spin-off sports titles. You can try to rubbish all of Nintendo's recent attempts at spin-offs but the fact remains, if Sega did them, they'd be much worse. I just want a developer who has a proven history of getting things right to show the world a great Sonic game in a 3D environment isn't that hard to achieve, and then maybe Sega can follow the example. @Baker1000 Lost World was just a Sonic game inspired by the franchise's Dreamcast era, which ranges every 3D Sonic game from Sonic Adventure to Sonic 06. Most of the games in this 5 game era were considered good. Sonic 4 EP 2 was released with a positive critical reception. What's even wrong with it as a game? Finally, RoL isn't even a Sonic game at all. It's just a licenced action adventure game with Sonic characters slapped on it. Argue the name all you want and all I will respond with is "what makes a Sonic game a Sonic game?" @YoshiAngemon I got my current version off of Steam. The GG games are listed under "Minigame Collection"
Unless what you say it true then just download the BetterSADX mod. It should fix everything. @AlienX But I also mentioned the free flow nature being removed. Once you see Blaze's rocket jump then you'll try to come up with new ways to carve a shortcut. It creates depth. Also the removal of trick combos really hurts the involvement. RoL is just a TV show cash in like Ghostly Adventures. Just a Jak game with Sonic pasted on the cover. Pay no mind. Well I played OoT for the first time on my 3DS years ago and, despite me not hating it, it was the first and only Zelda game I traded in. from a gameplay perspective it feels like it lacks an identity compared to it's future installments. While the same cannot be said for Sonic, due to every Sonic game offering something a bit different, the older games have aged from a programming and engagement perspective. And nowhere is that anymore clear than SA2. They are not as exciting as they use to be unlike how the more recent games make me howl to the high heavens with how cool and stylish they are to play (ie Running up Big Ben Clocktower with laser fire being shot down just to launch yourself over the tip while doing mid-air tricks and finish with a smooth rewarding grind down it's spiral). The Boost games are just better built more for a modern audience. It's like watching a Devil May Cry combo video turned into a speedrunning platformer. It's more than fun. It's exciting and satisfying. No, it still doesn't. At all. On the topic of Metroid, on its 30th anniversary no less, to say Nintendo's efforts were pitiable, is a colossal understatement. @Baker1000 "I just want a developer who has a proven history of getting things right to show the world a great Sonic game in a 3D environment"
Naughty Dog is probably your best bet then. @SamirMalik what was wrong with Sonic 4 Ep2? Well let's just say I tried to play it and got bored/fed up after the 2nd level when I realised they still didn't fix what was wrong with the first one. They need to go back to basics, strip all of gimmicks from the series like homing attacks (useful in 3D games, not the side scrolling ones) and colour powers and go back to the original formula of the Mega Drive days. Hopefully the Christian Whitehead developed Sonic Mania is just that, but if it's still not right it's time to let the Big N have a go. Even non-Nintendo gamers recognise that the best made games come from Nintendo. @Baker1000 So in other words, "it's bad because it's different". Dude, that's not how quality works. And going back to basics is to strip all of the depth the series has built in the last 25 years. "Even non-Nintendo gamers recognise that the best made games come from Nintendo." That's what a blind fanboy would say. Capcom made a better Card-based action game 15 years before Color Splash was a thing. It's called MegaMan Battle Network and set the standards that Nintendo refused to follow, thus creating a crap game. It's embarrassing that they couldn't get the obvious right by now. I'd expect more from Nintendo but they're a stubborn mule. Heck, the best F-Zero game, GX, wasn't even made by Nintendo but by SEGA and is the most blazing fast in the series because of it. Don't act like Nintendo is a god. Because they aren't masters of everything. Especially when it comes to fast paced games like Sonic. @SamirMalik Before I downloaded the BetterSADX Patch, my copy didn't have the Game Gear Games unlocked. But they do, now! @SamirMalik lol no it was bad because it didn't work as well as it should have. It's funny you use the word fanboy though, because any time I criticise Sonic I provoke this same reaction from fanboys. I was a massive Sonic fan up until the Wii era games. Sega haven't built any depth in the series since Sonic Heroes, all they've done is destroy what they had. And no, Nintendo isn't without it's faults. I think the Wii U have proven that. But the standard of the vast majority of their games is still top notch, whereas Sega's got a track record of shoving out a crappy Sonic game every year recently. @Baker1000 I asked "What's even wrong with it as a game?" and "no it was bad because it didn't work as well as it should have" says absolutely nothing about the game. Is there an issue with it's pacing? do the mechanics keep screwing you over/contradicting itself? So on and so forth. Of course I said fanboy. With comments like "Even non-Nintendo gamers recognize that the best made games come from Nintendo" you REALLY shouldn't be wondering why. How many high quality companies are in this industry? So many. And there is no king of them all. I would list the games SEGA has released but this comment is already long enough. @Damo For whatever reason the Gamegear titles are no longer showing a discount. Hopefully its fixed before noon when the sale ends because I wanted to buy Sonic 1 and Power Drift 2 at the discounted prices. Maybe Sonic 2 as well. I picked up All Star Racing Wii U and Sonic 2 3d but I wanted to try some GG games on my 3ds.